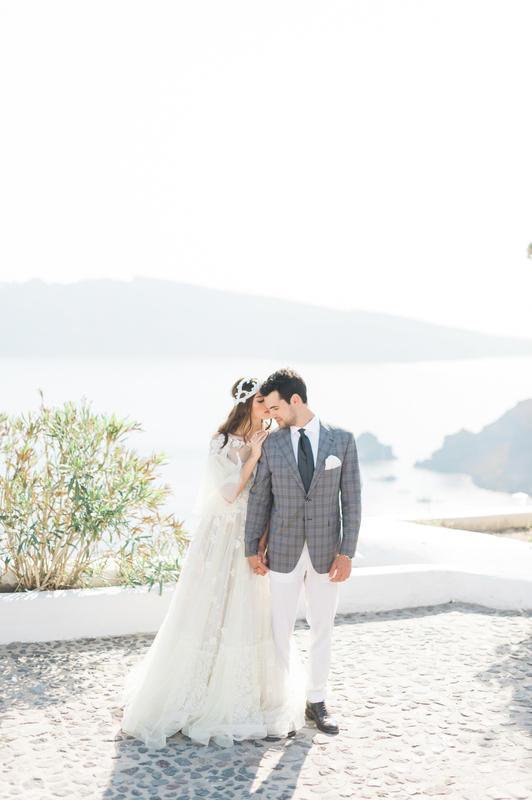 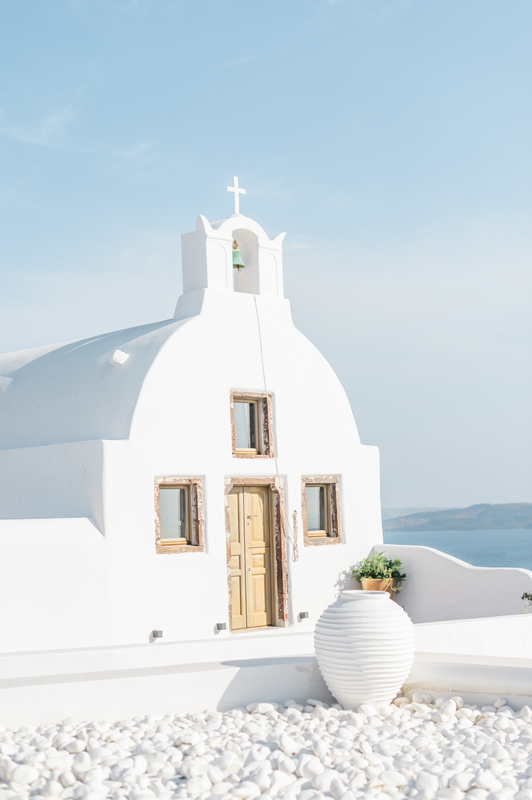 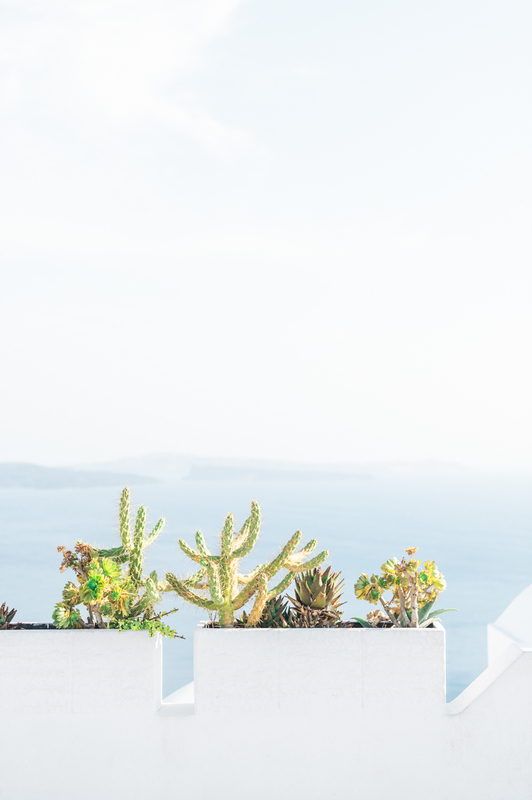 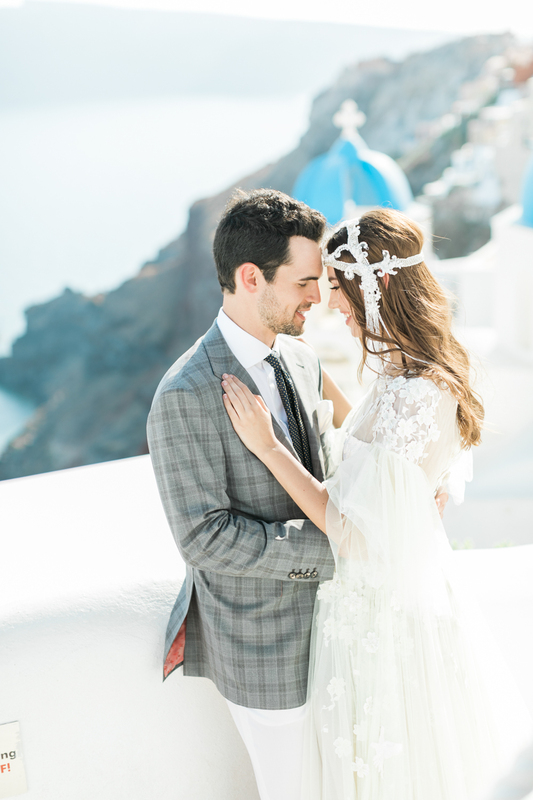 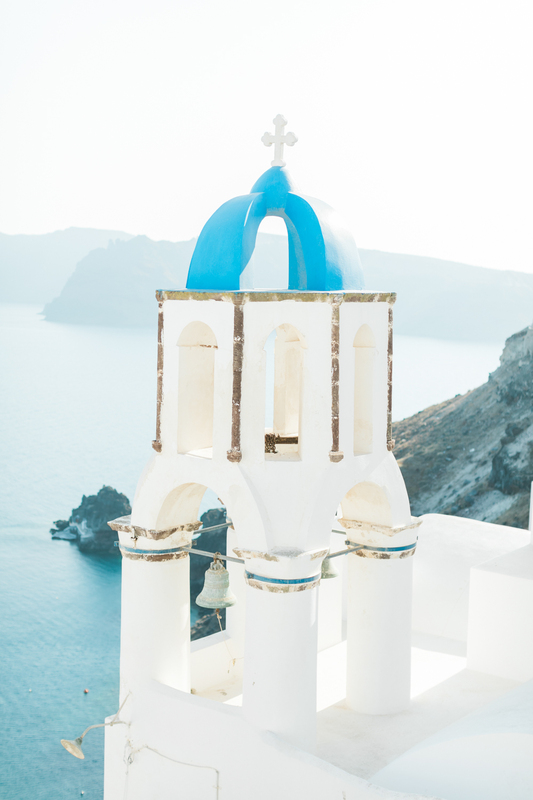 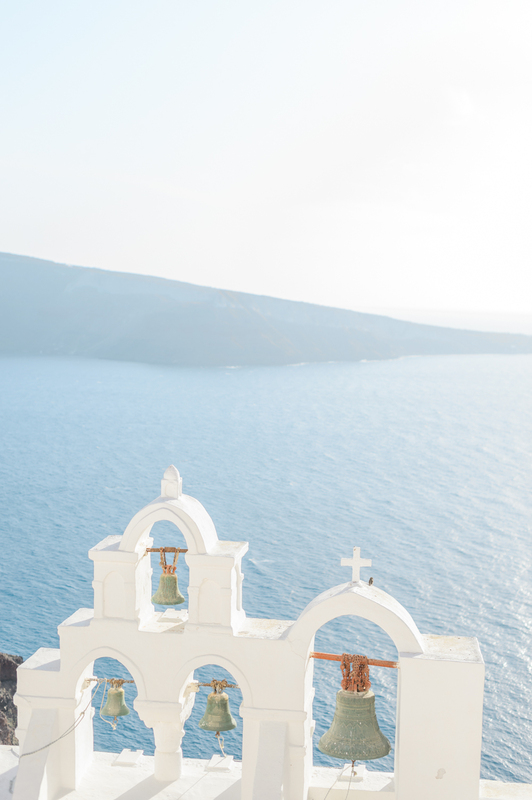 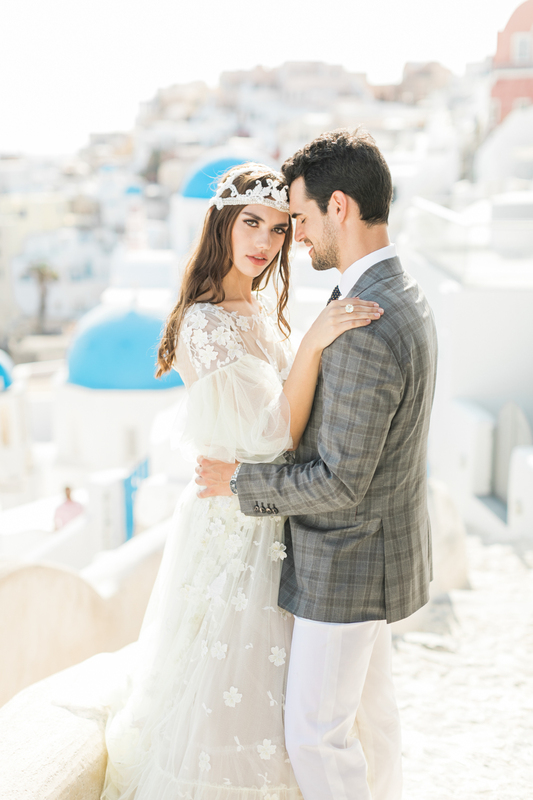 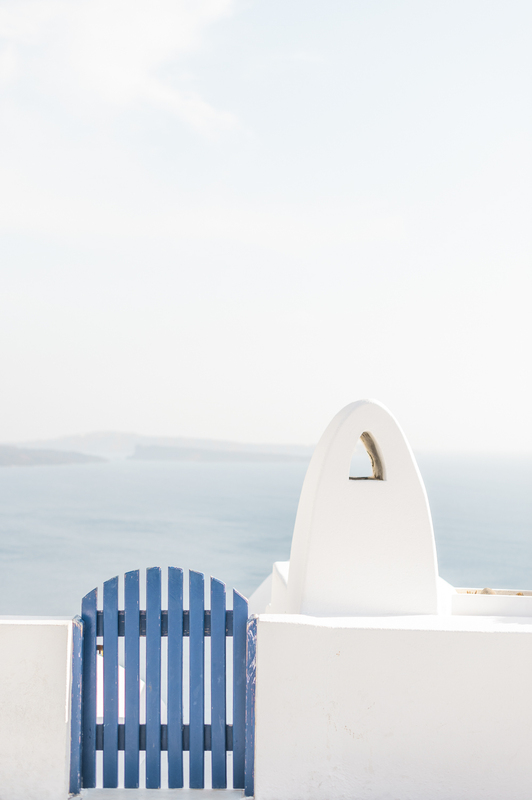 The beauty of Santorini is matched only by the beauty of love, and exceeded singularly by a bride in love. 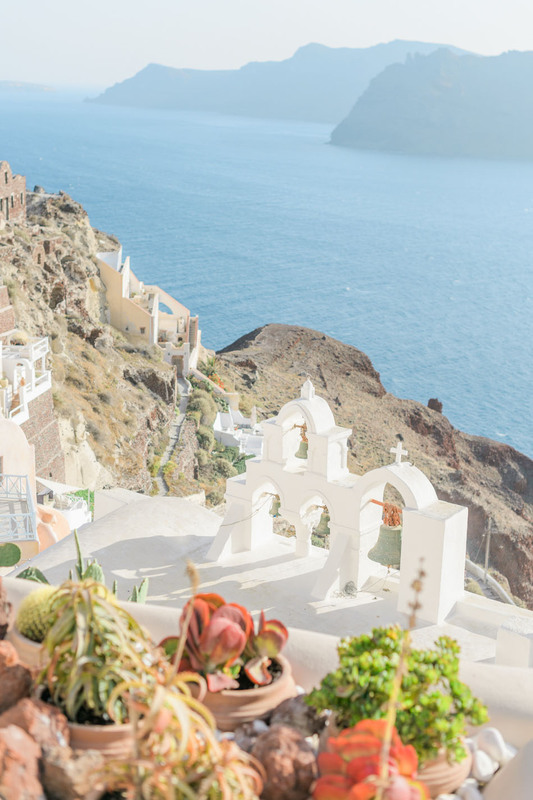 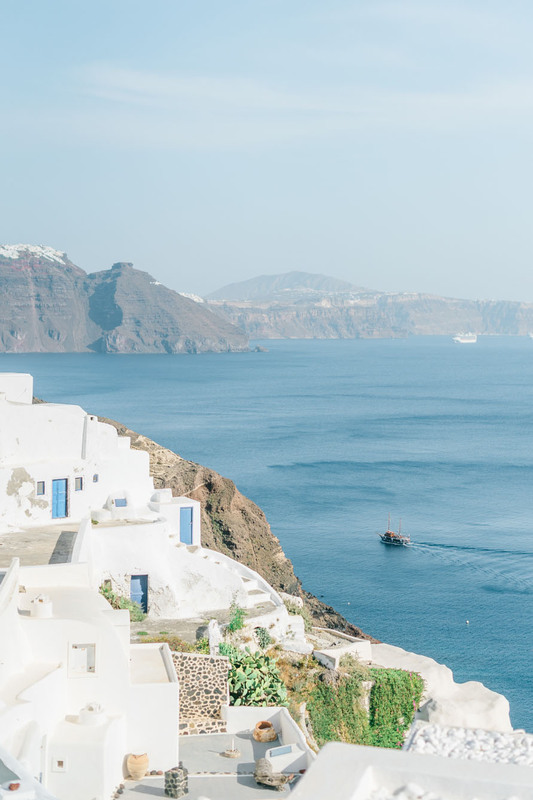 Imagine a dream takes place in this stark and captivating setting, amid the pure chalky white buildings with the azure sea beyond and the imposing volcano watching over. 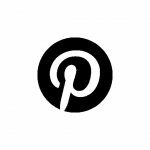 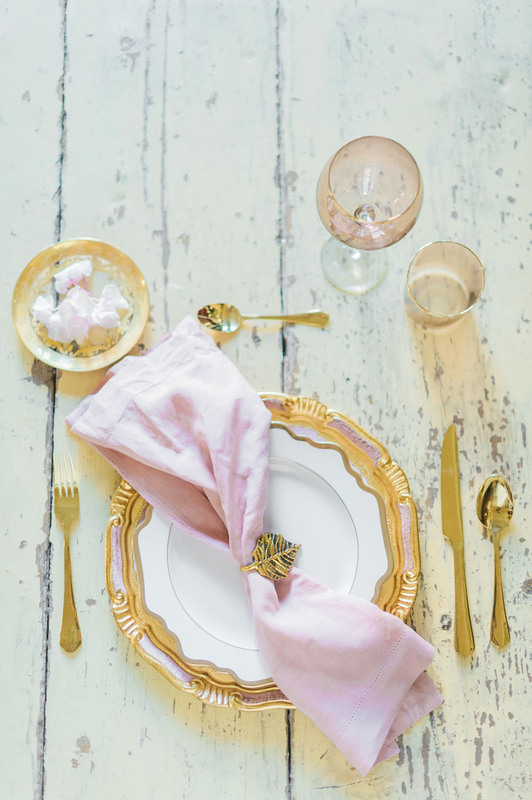 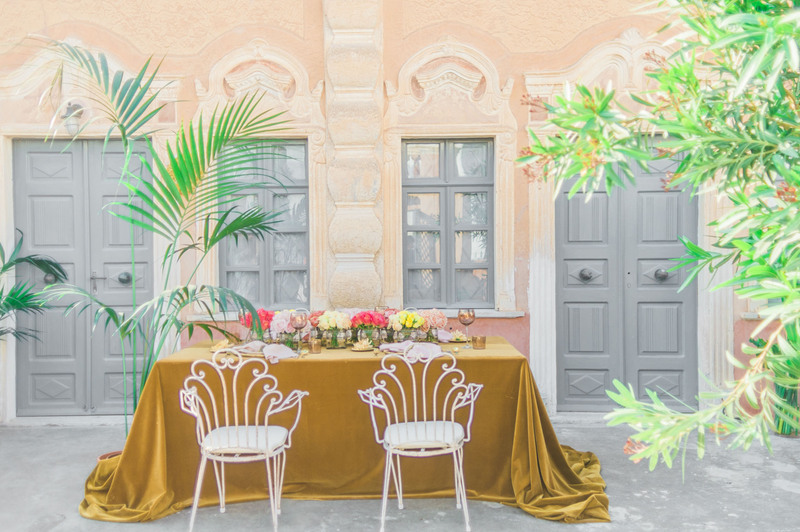 This is the setting for a wedding photography shoot of beauty and effortless grace. 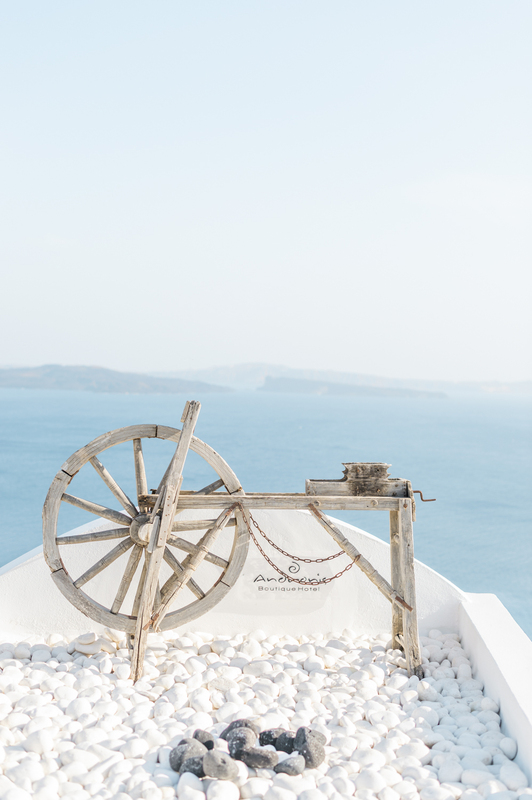 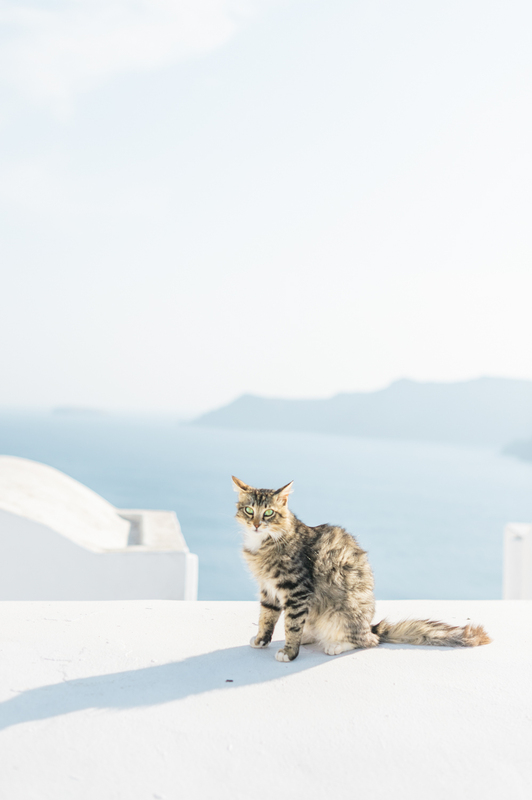 In Oia town we walk the ancient cobbled alleys and we feel the land baked by the sun and each breath the ocean takes. 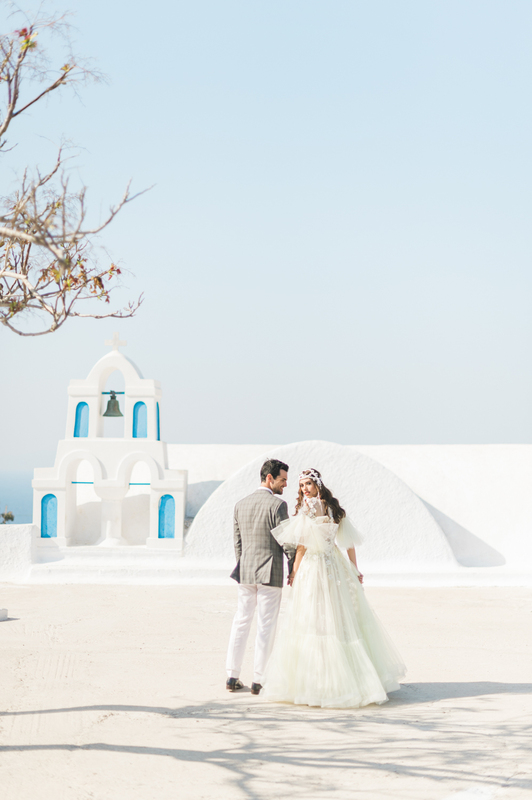 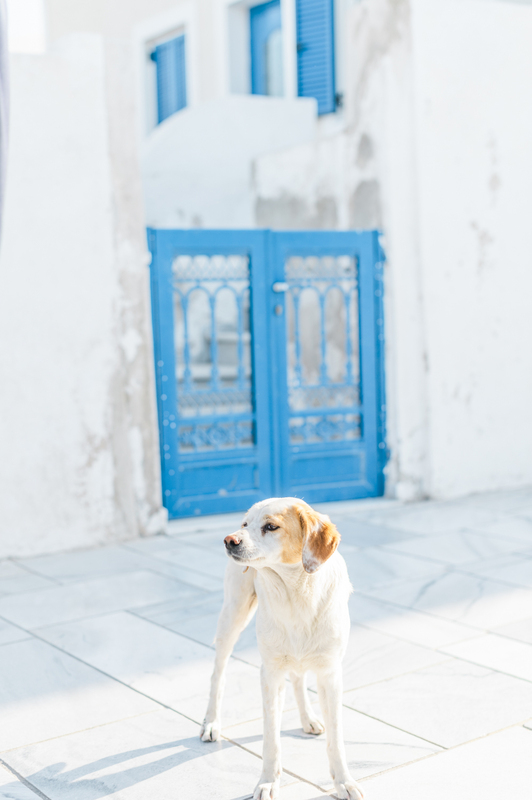 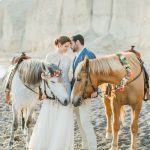 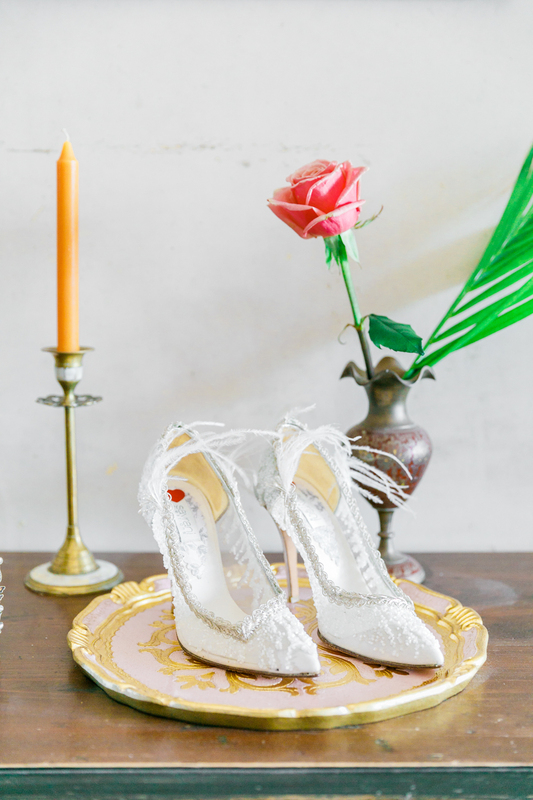 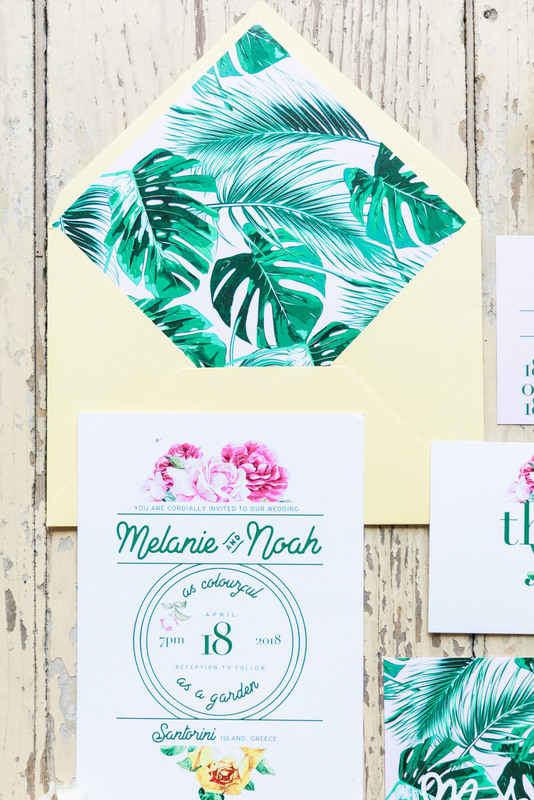 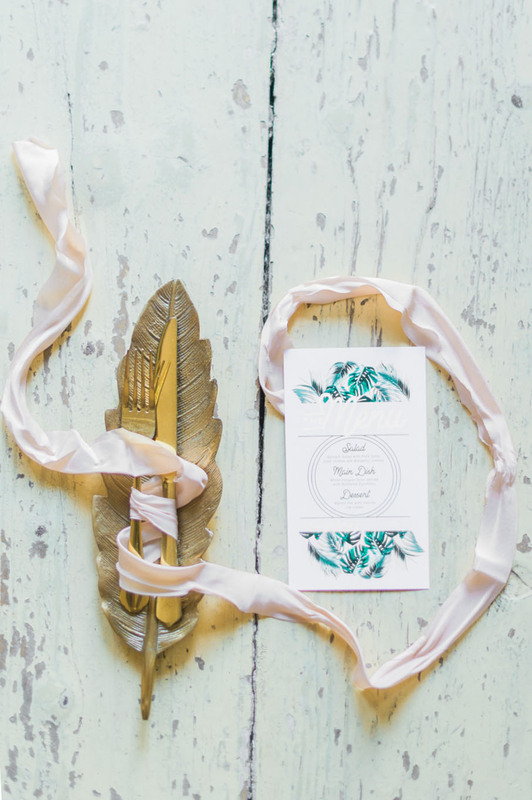 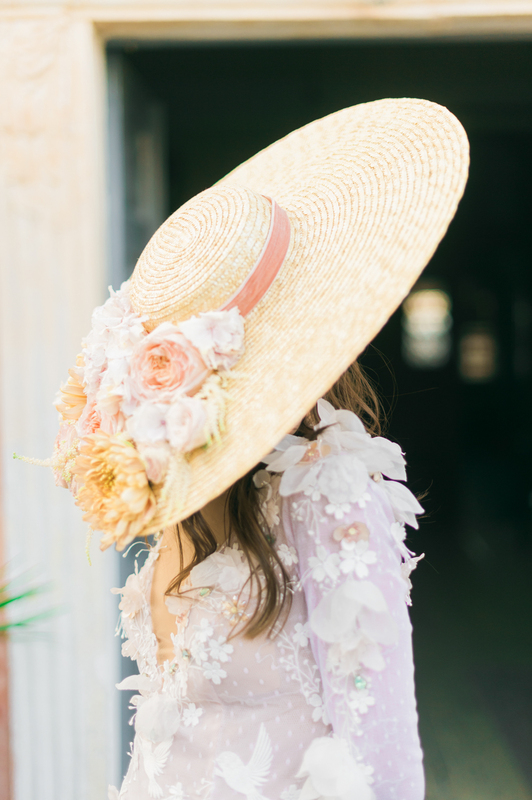 The breeze is a feather through the bride’s hair as her serenity fills the air and touches even the dogs and cats who wander by and stop to watch this spectacle of romance. 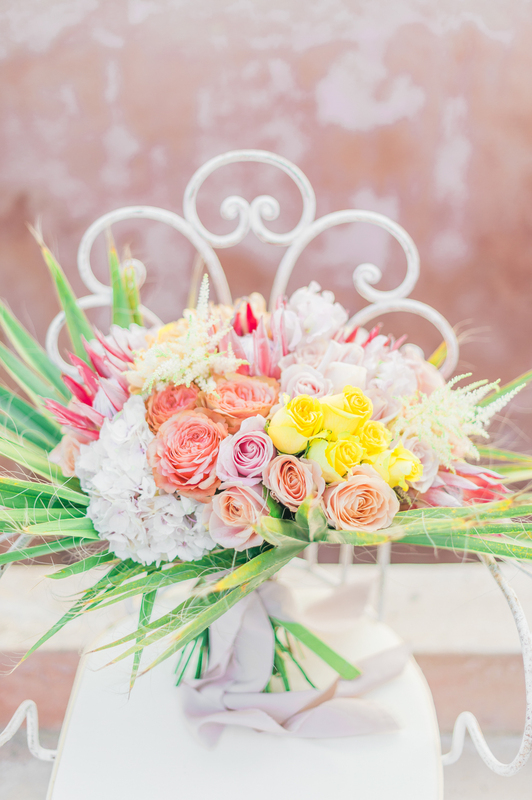 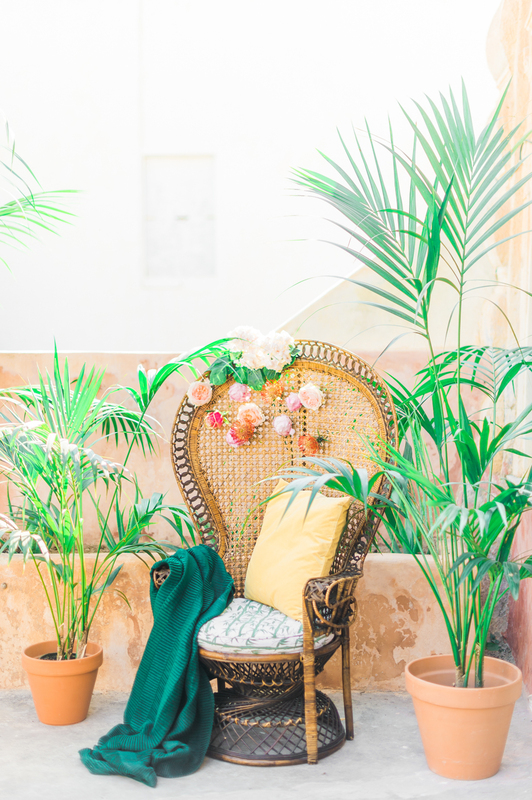 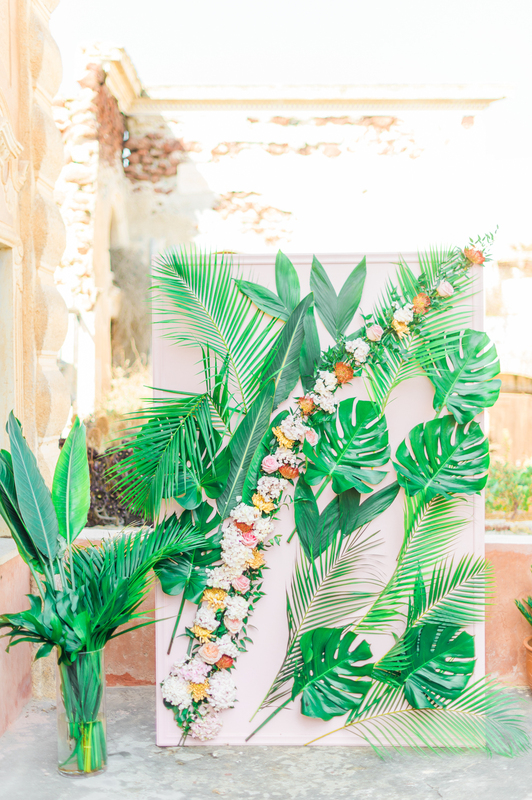 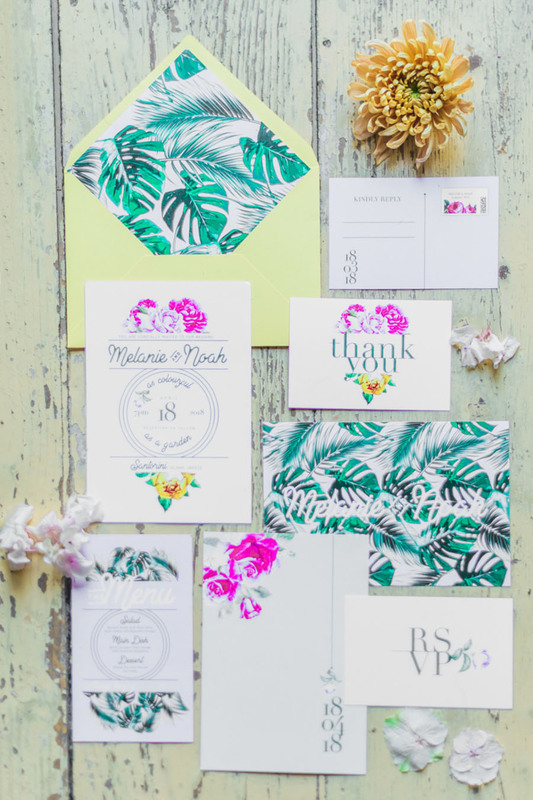 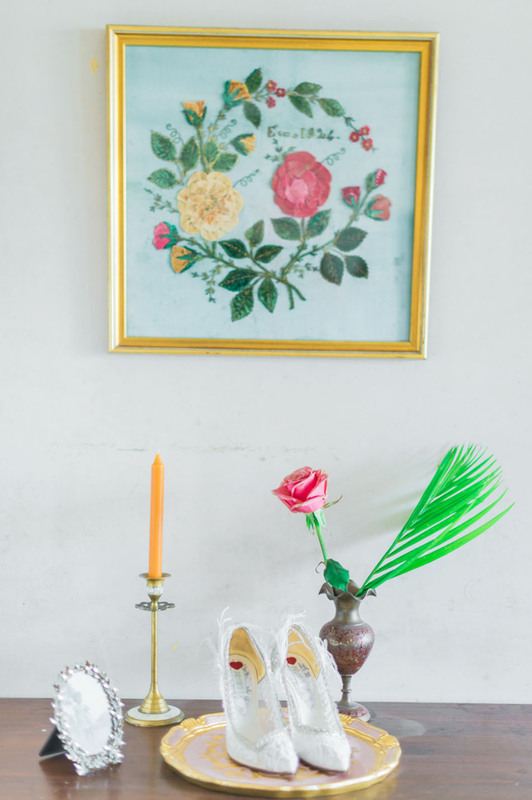 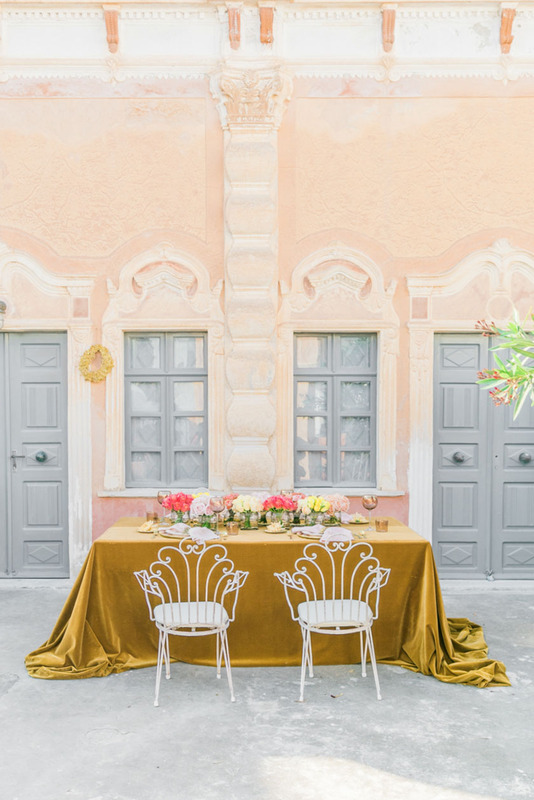 We sit for a while by a traditional villa house with a bouquet of bright yellows and full orange. 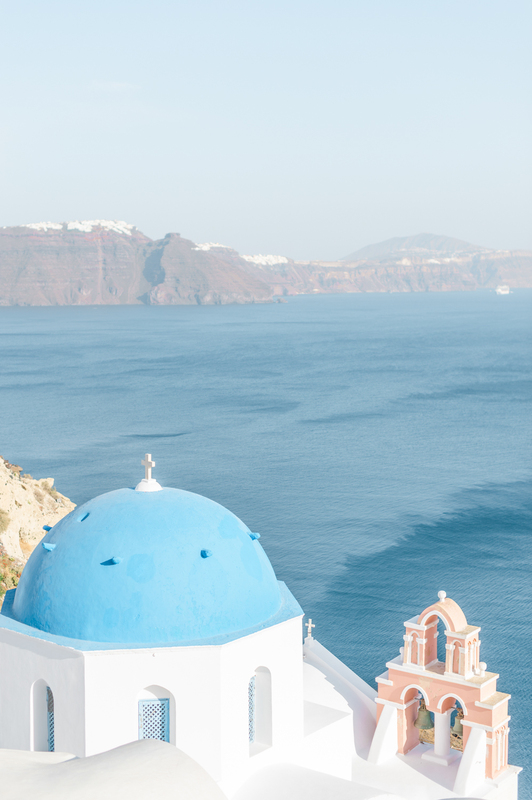 The setting here amid the Santorini houses is the perfect canvas for such a bold and sumptuous palette. 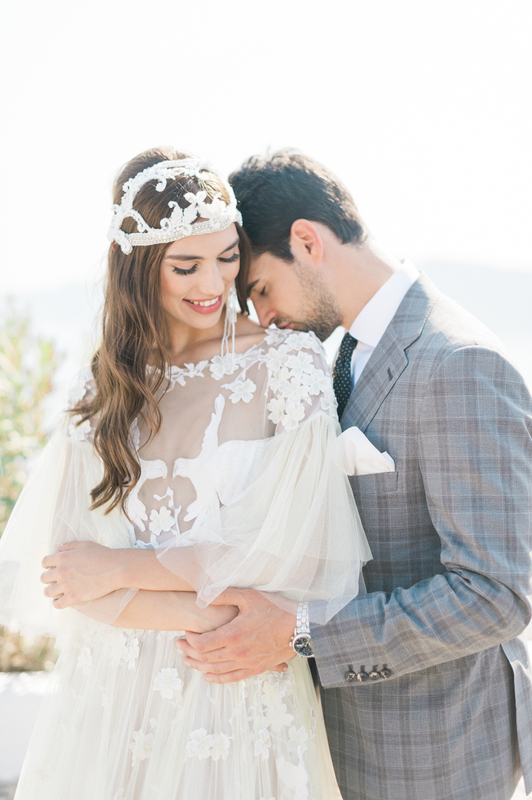 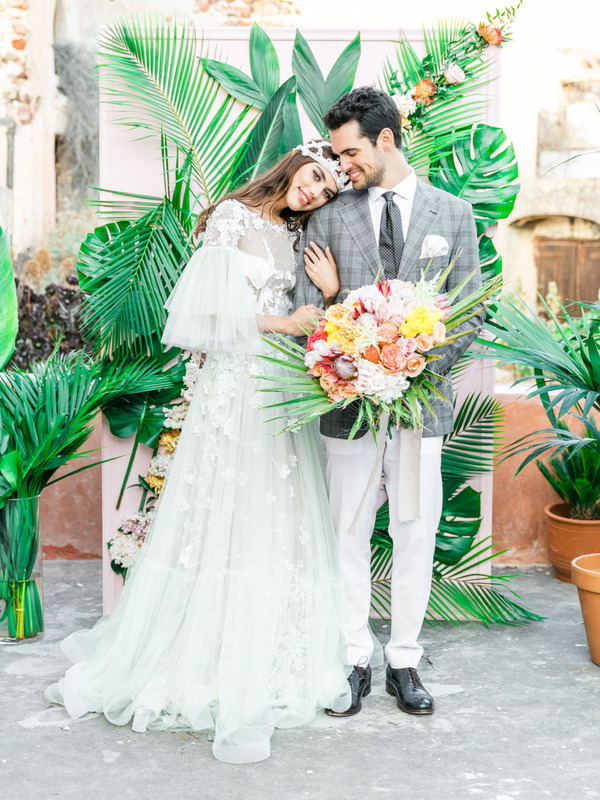 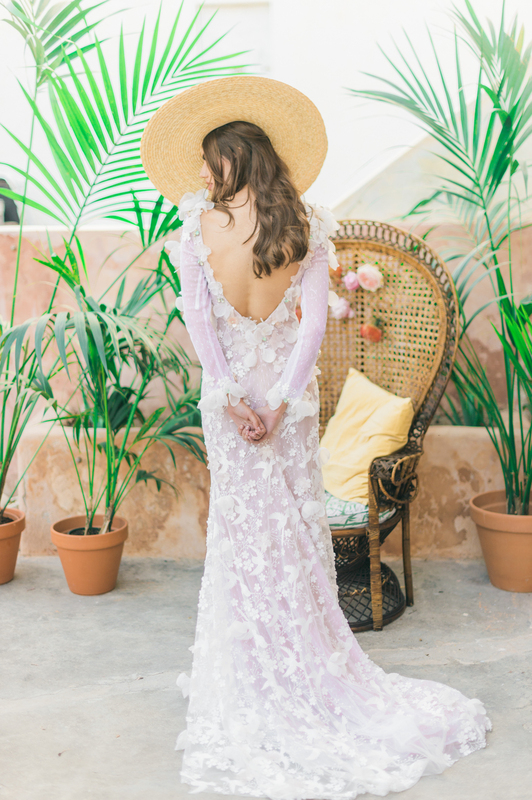 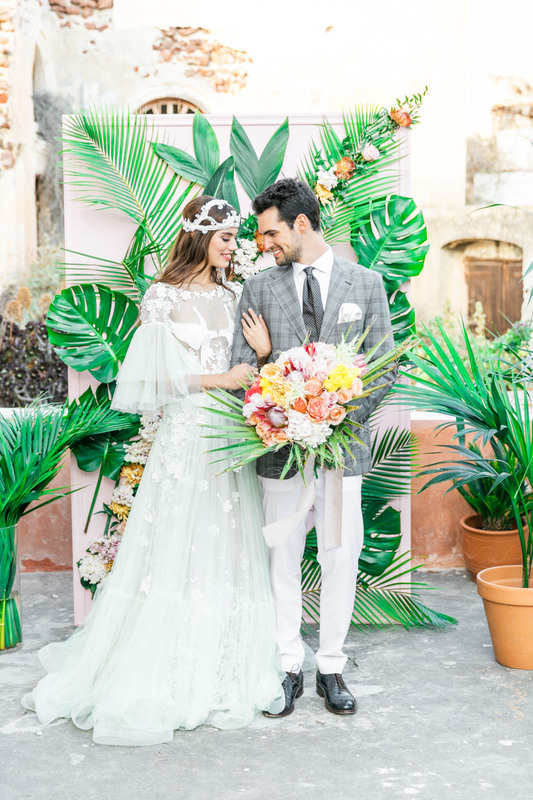 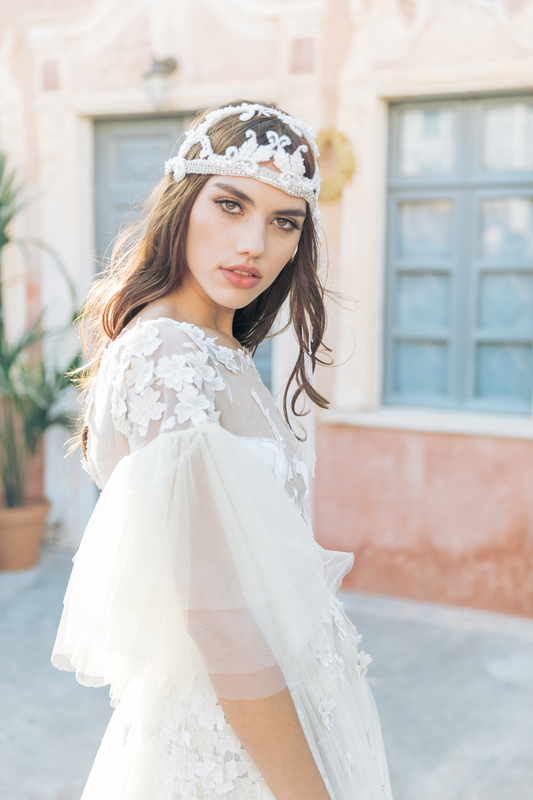 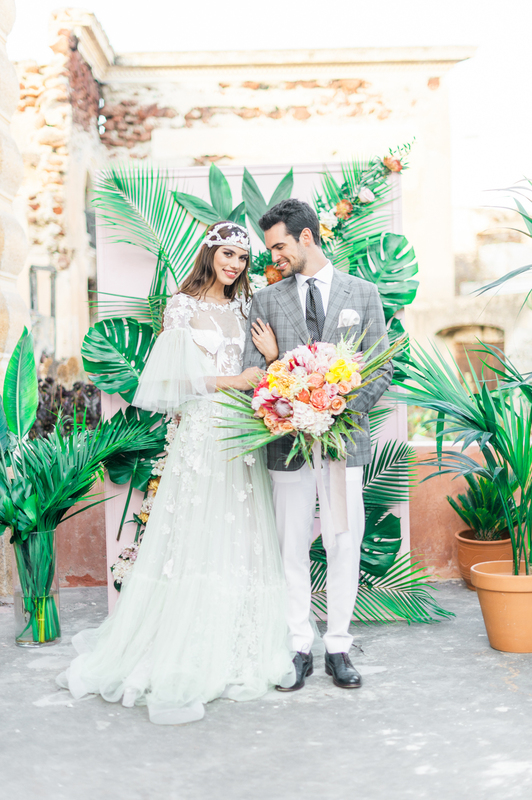 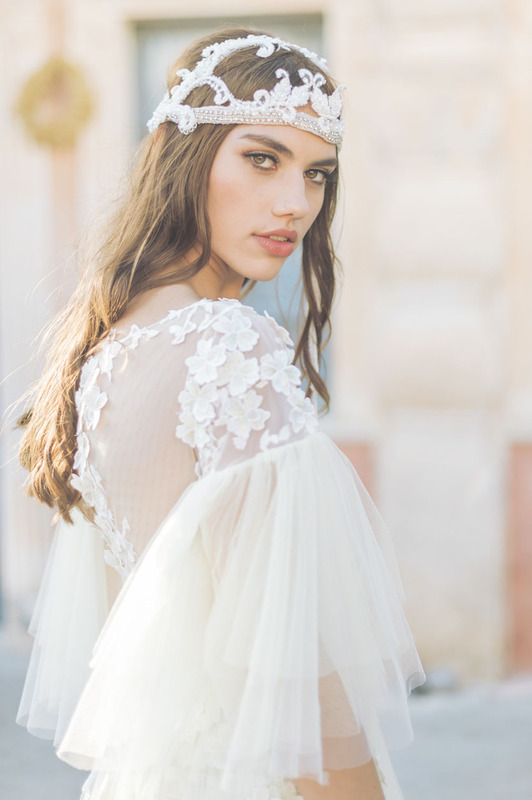 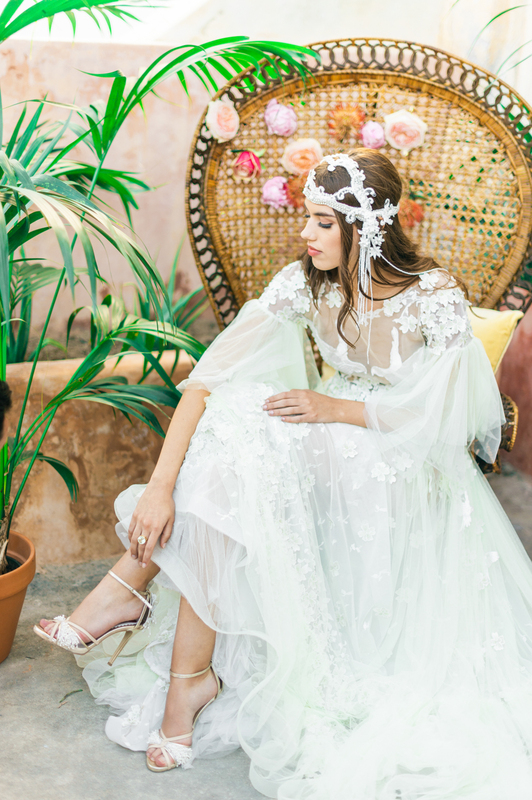 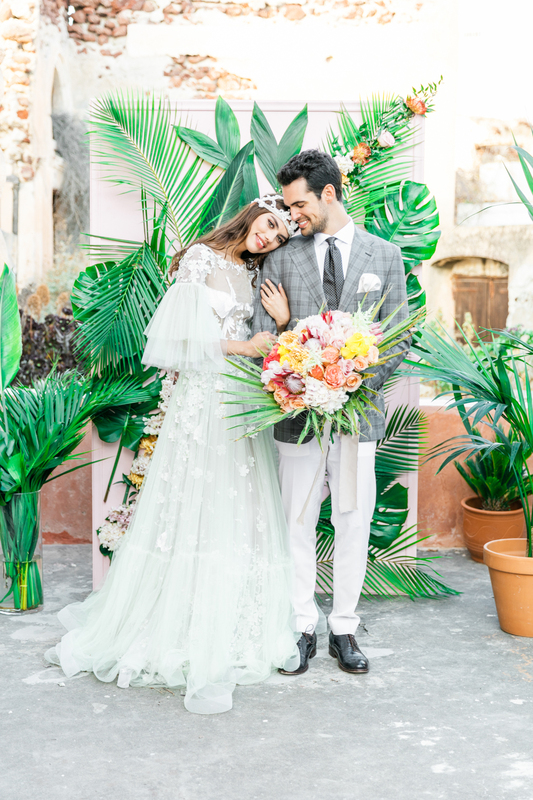 The bridal vision nods to a 70s hippy style with a floating boho wedding gown by Made Bride by Antonea, evoking a carefree and relaxed atmosphere, and an evening gown that tells a story yet to come of a future in unison. 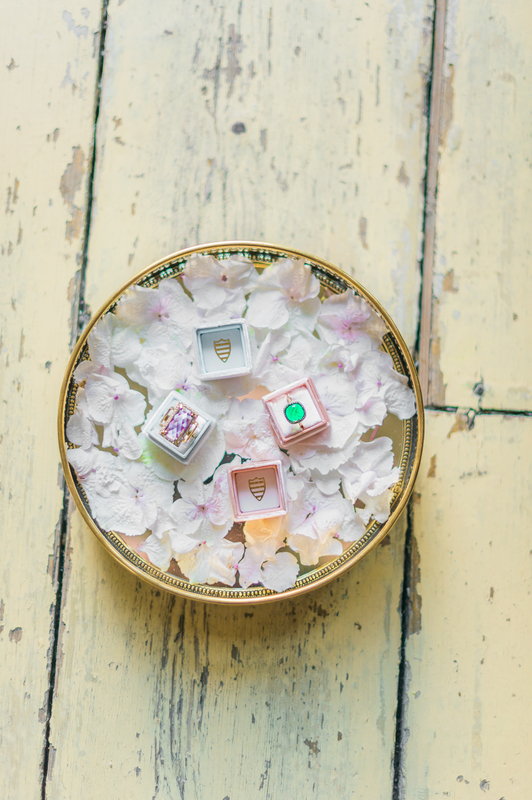 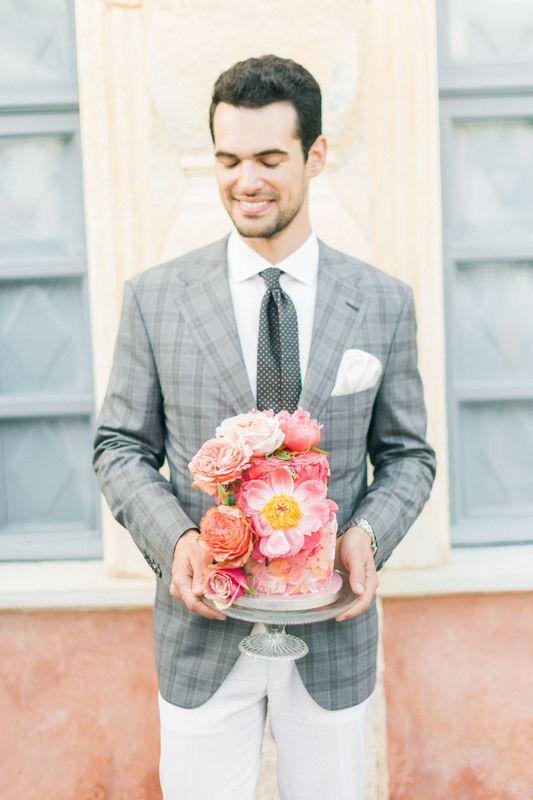 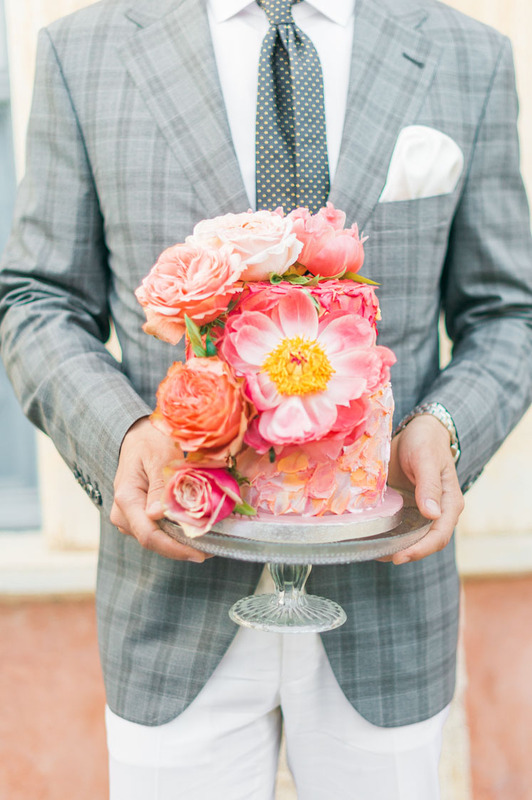 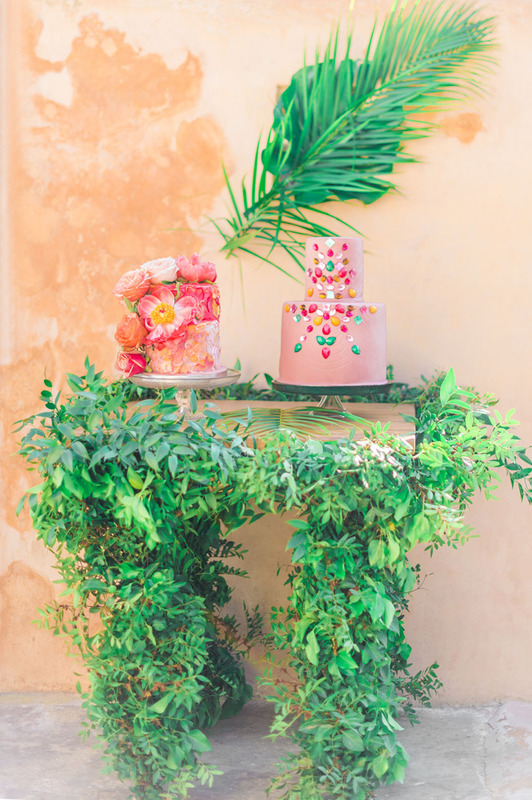 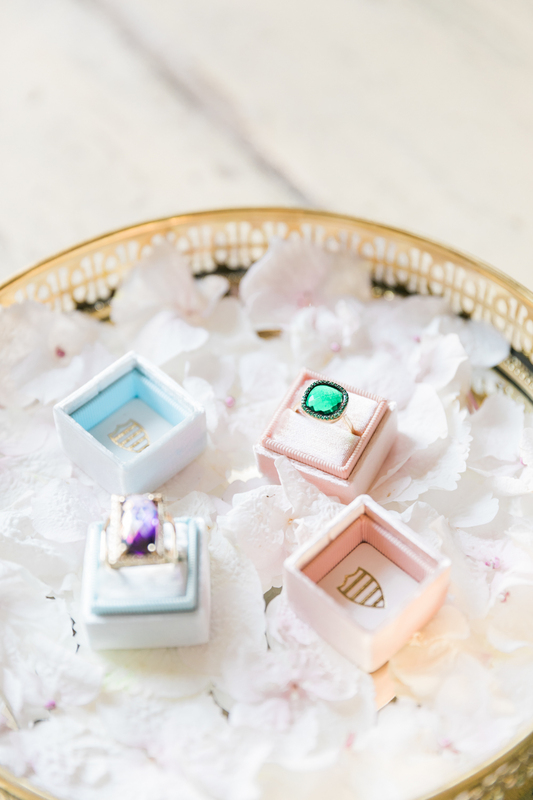 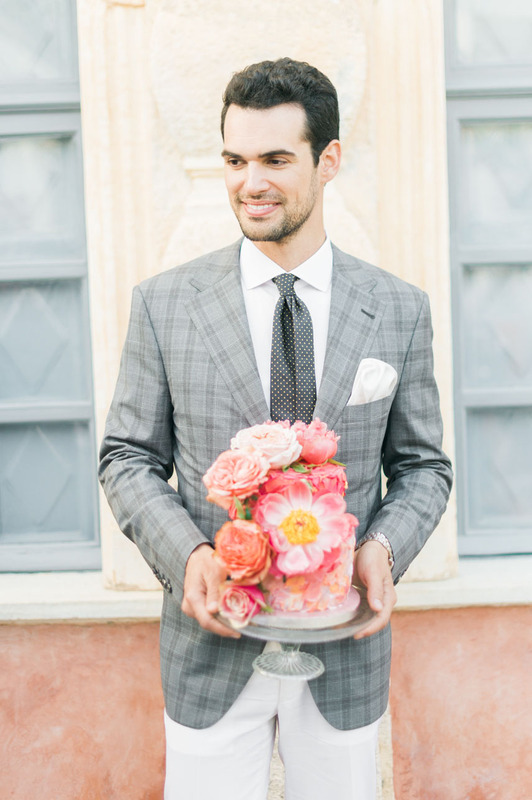 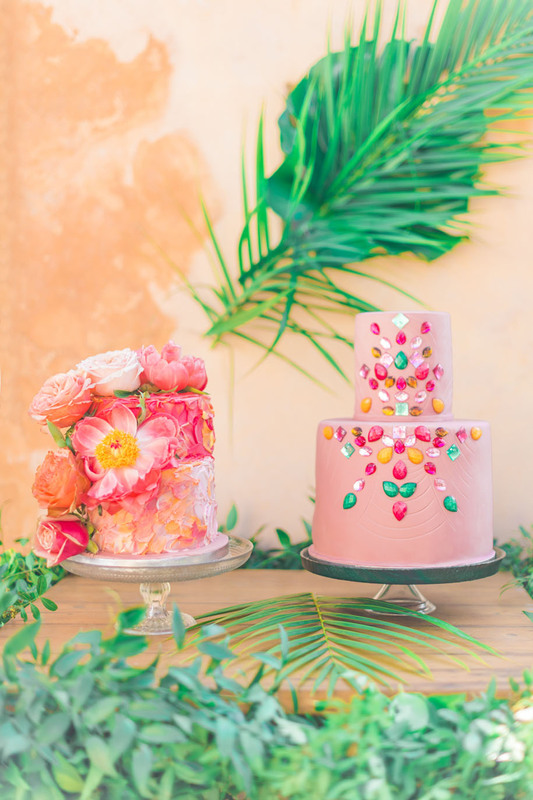 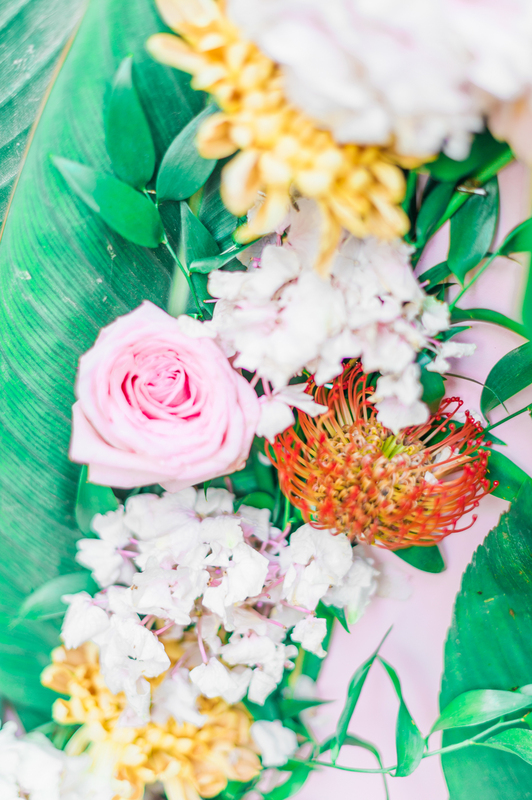 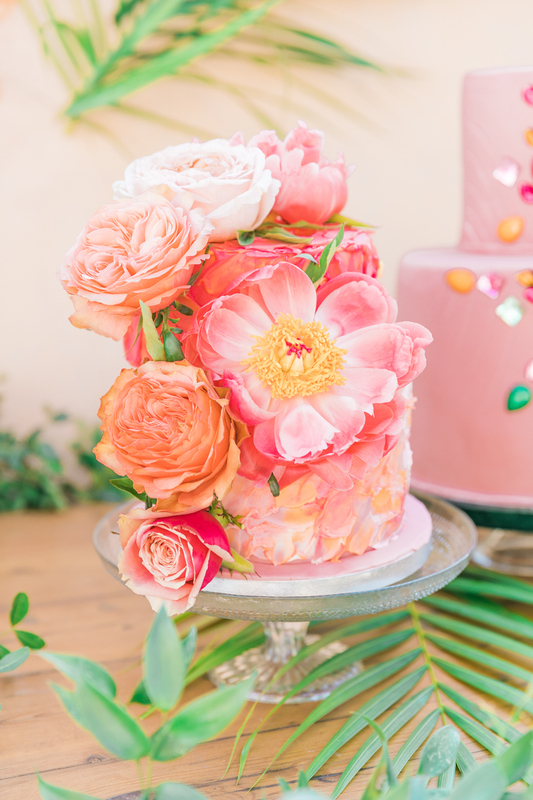 Even the wedding cakes by Alexandra’s Cakes, one floral and one bejewelled, bring together two worlds that inhabit a space and complement each other in perfection, like a man and a woman, like the sea and the shore, and like night and day. 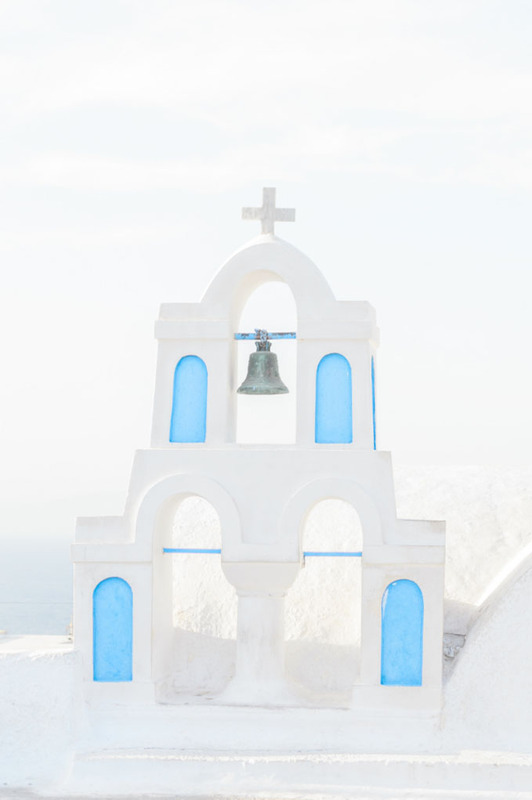 Here we pause and take in the wonder of love and beauty that transcends time and finds its place in a life.